We are excited to release the nineteenth coin in the CollecTons Keepers program, an exclusive series only offered by CollecTons. 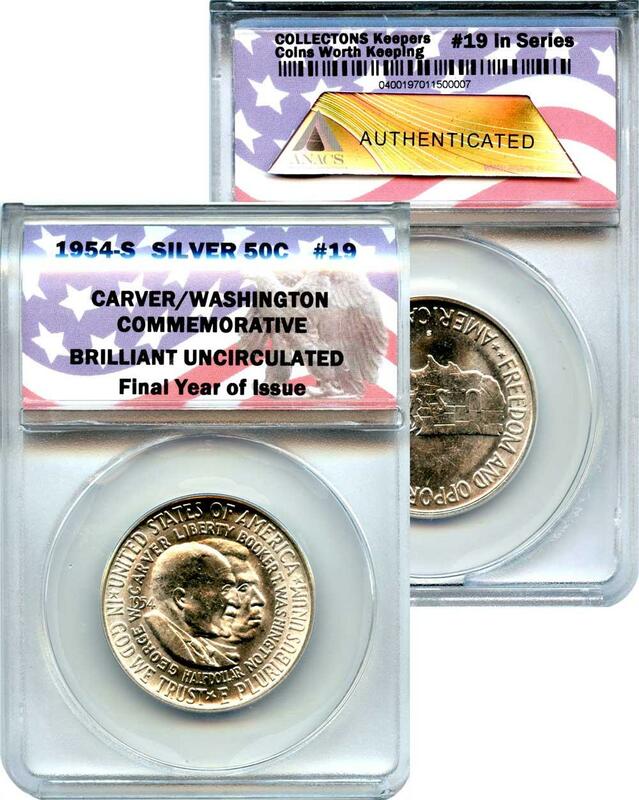 The nineteenth coin we present, CollecTons Keepers #19 in Series, features the rare 1954-S Carver/Washington Commemorative Brilliant Uncirculated Silver Half Dollar. 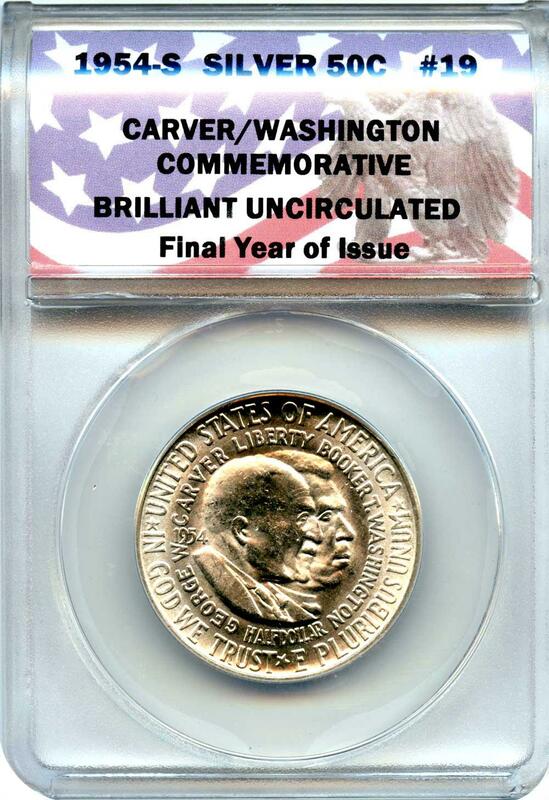 Why is the 1954-S Carver/Washington Commemorative Brilliant Uncirculated Half Dollar a Coin Worth Keeping? The 1954 Washington Carver Commemorative Half Dollar coins mark the end of what is known as "Classic Commemoratives" from the U.S. Mint. Used to honor a special person, event, or issue, no country has eclipsed the United States when it comes to these types of coins. Unlike many other countries, all commemorative coins in the U.S. have historical significance. 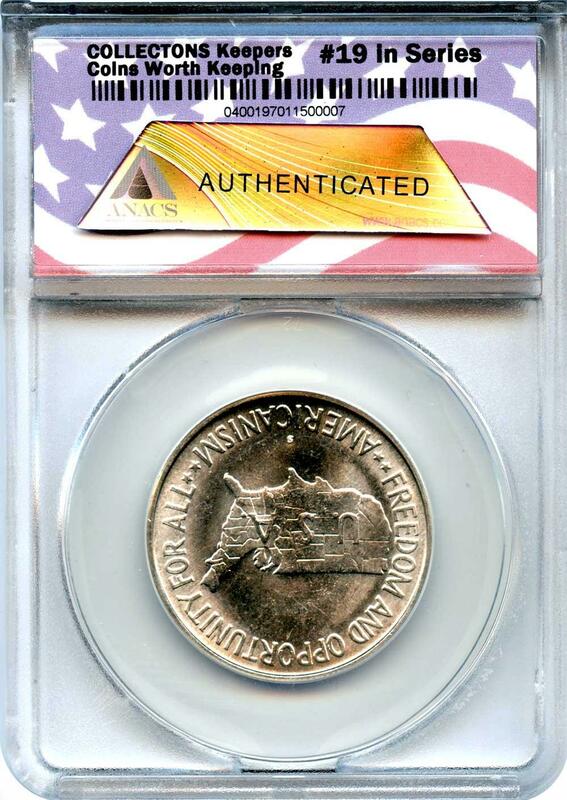 This fact has kept U.S. commemorative coins popular with the public and collectors alike. The early United States commemorative coins (Classic Commemoratives) began in 1892 with the Colombian Half dollar and ended with the 1954 Carver/Washington Half dollar. These coins were used as a money raising mechanism for various charities, non-profits and projects as a means of avoiding tax raises. Booker T. Washington and George Washington Carver were both born into slavery and both freed by the Emancipation Proclamation while still children. Once freed, both of the men spent a great deal of time trying to educate themselves. Booker was just 25 when he was asked to be the first leader of a new all-black state school, the Tuskegee Institute in Alabama. He spent many years there, eventually buying a plantation where, over decades, the Institute was expanded. Washington Carver was best known for his research into the development of alternative crops to cotton. After hearing of his work developing different uses for peanuts, soybeans and sweet potatoes, Booker hired him as the head of the Agriculture department. Carver taught there for 47 years. It is fitting that they are honored together on the coin since they are buried next to each other on the grounds of the institute. Isaac Scott Hathaway succeeded in pushing a bill through Congress to create a new commemorative that would honor both Booker T. Washington and George Washington Carver together. Money from the sales of these coins was to be used "to oppose the spread of Communism among Negroes in the interest of National defense." On September 21, 1951, the bill was passed, and the coin was produced all the way through 1954. Hathaway's design features the conjoined busts of the two men, with Carver's in the foreground. Their names are bowed around the busts with the word "Liberty" in between them. The reverse depicts a map of the United States with the letters "USA" in the middle. 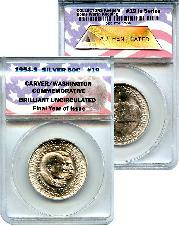 Today, the 1954-S Washington Carver Commemorative Half Dollar is highly sought after. It is the final year of issue of what is now known as the Classic Commemorative series. Here at CollecTons, we work hard researching coins that should be part of every collection. Our goal is to utilize our knowledge in the numismatic industry to select coins worthy of being in everyone's collection! Therefore, the CollecTons Keepers program will only feature those Coins Worth Keeping.